The Skoda 75 mm Model 15 Gebrigskanone (mountain gun) was originally used by the Austria-Hungary during the Word war I. 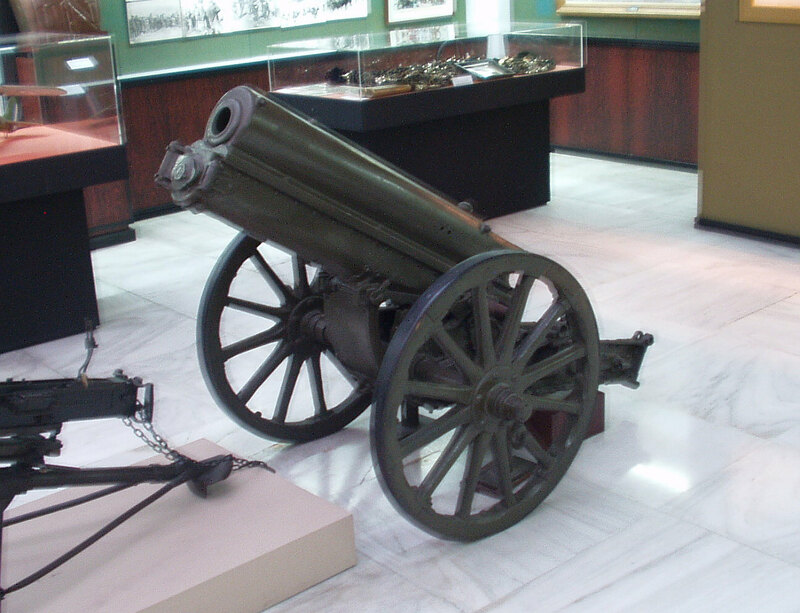 After the war, this guns were still manufacured in Czechoslovakia and the Greek army ordered them in 1920. Some peices of this gun was still used in the WW II.